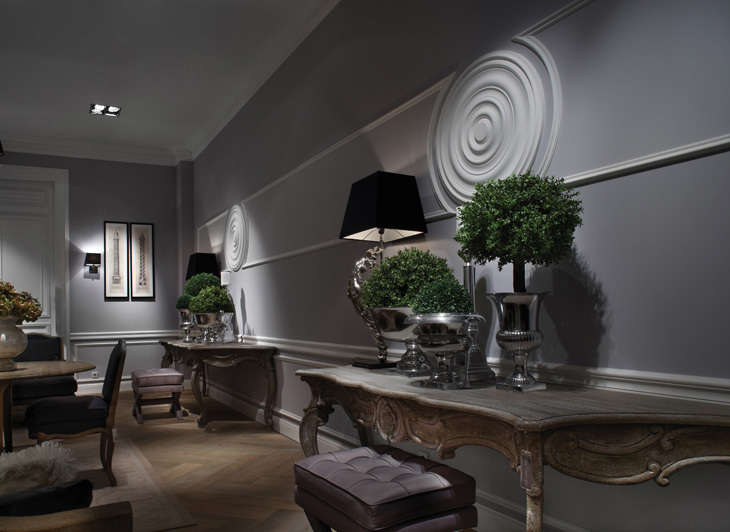 Creating individually tailored, inexpensive, wall panelling features. 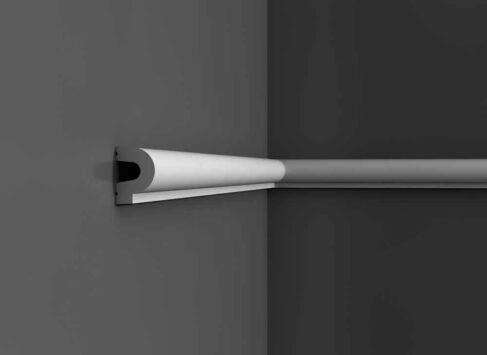 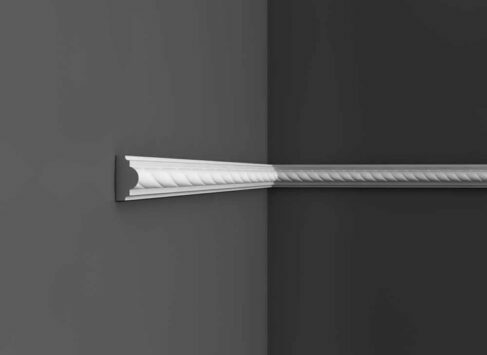 You can create shapes on your wall simply by cutting mitred joints on our railing profiles. 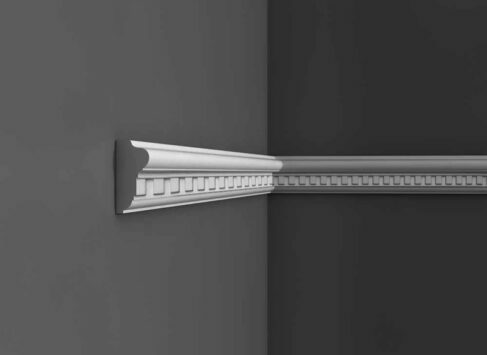 In effect, you are creating ‘frame shapes’. 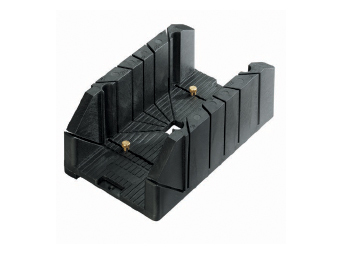 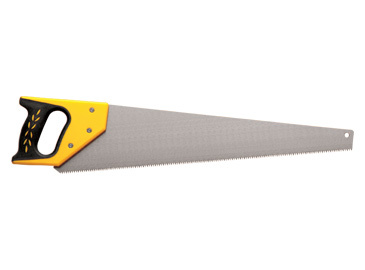 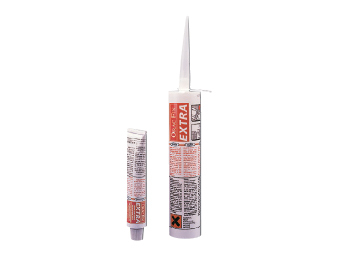 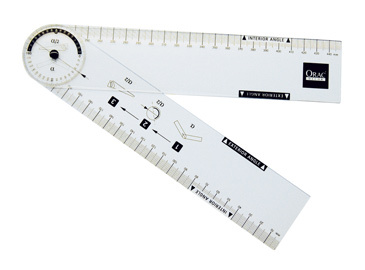 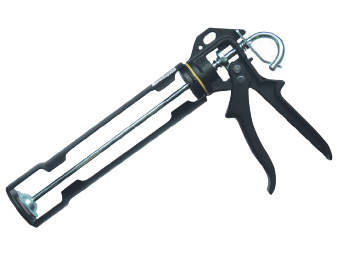 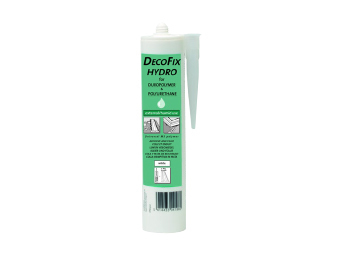 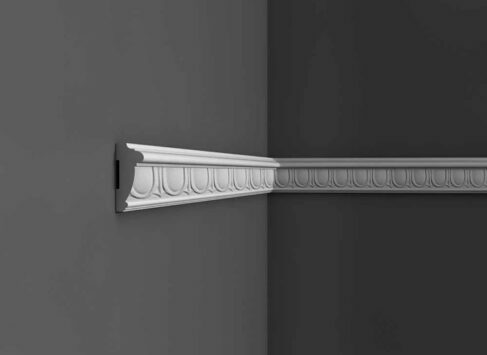 Mount these between dado and skirting or, for a full height feature, also above the dado. 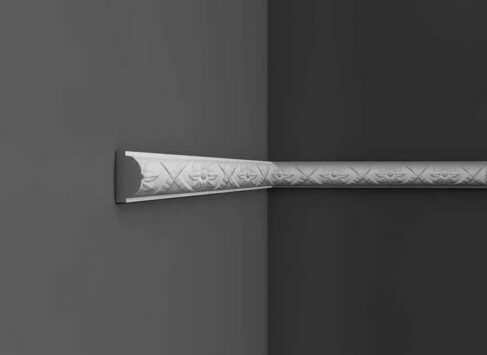 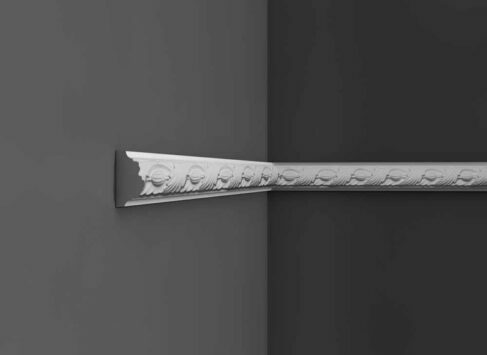 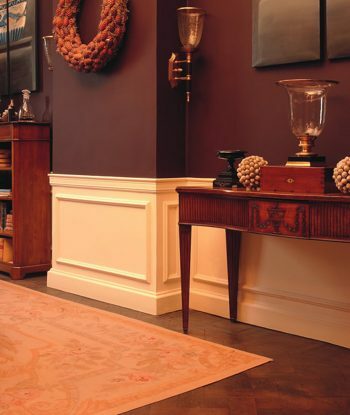 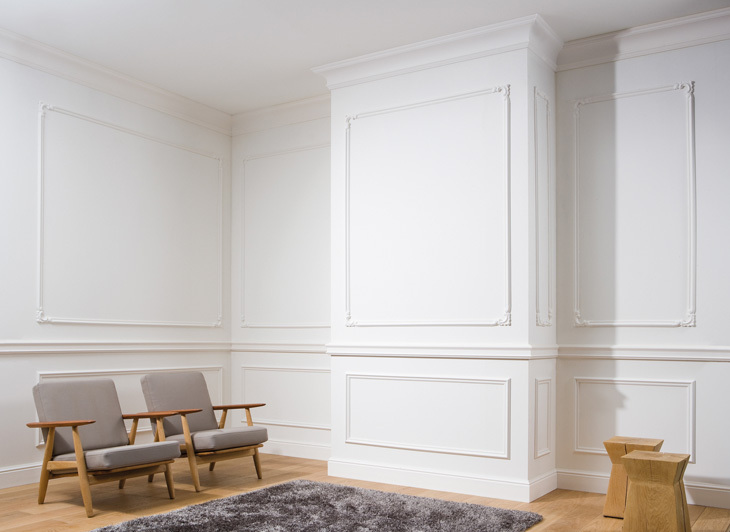 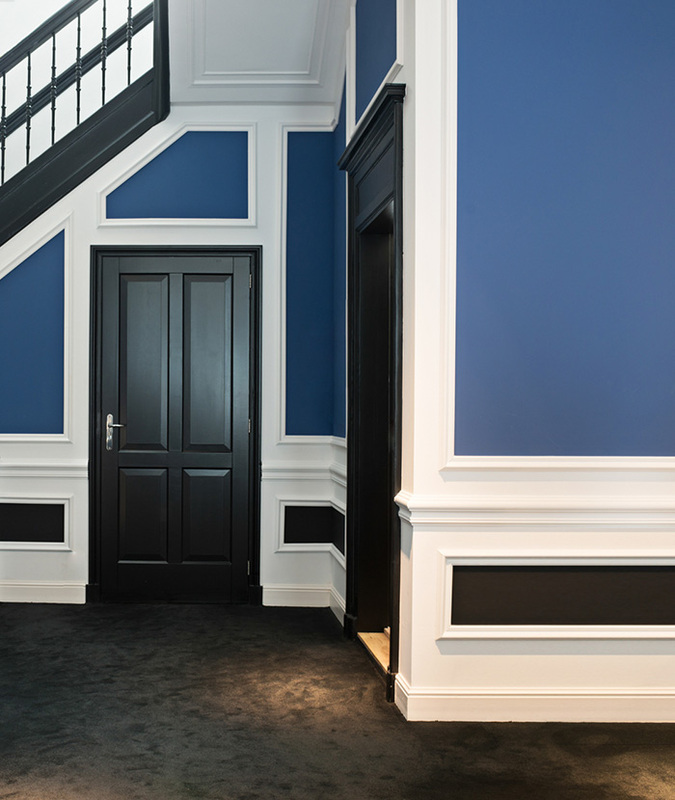 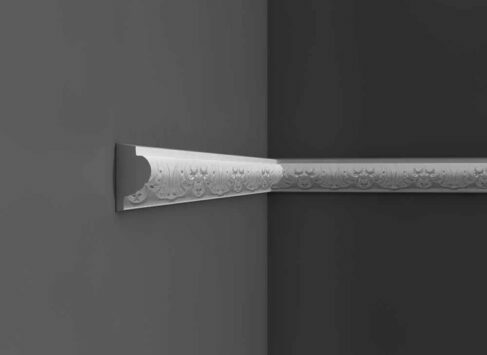 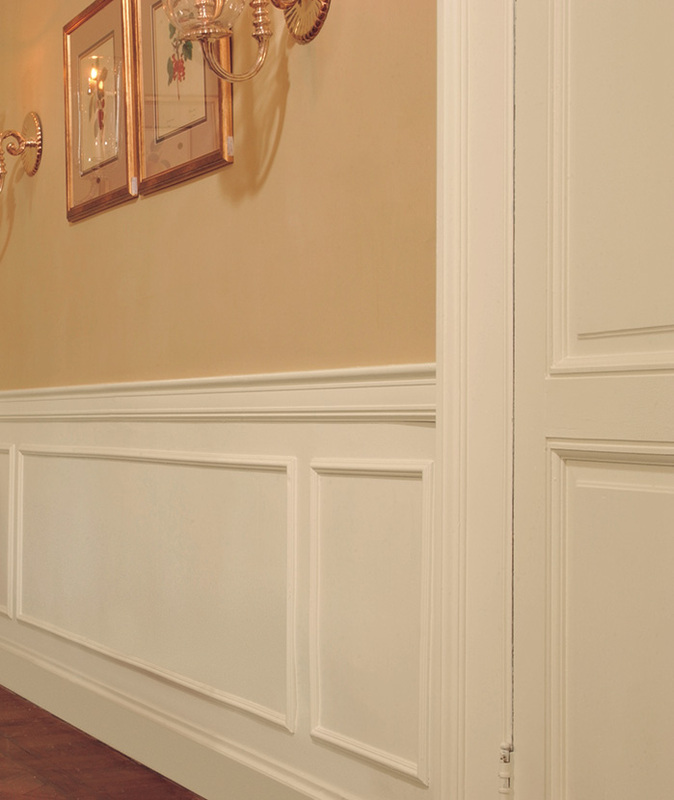 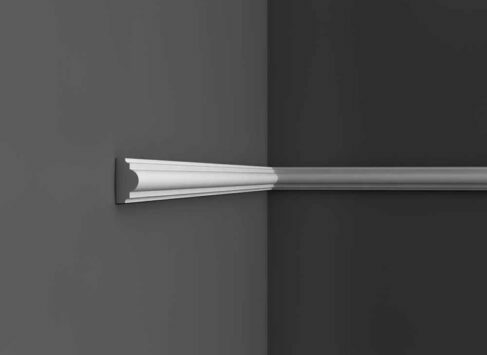 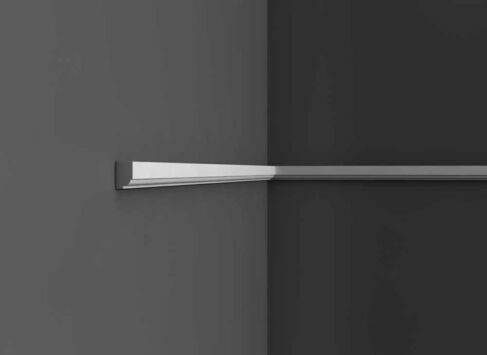 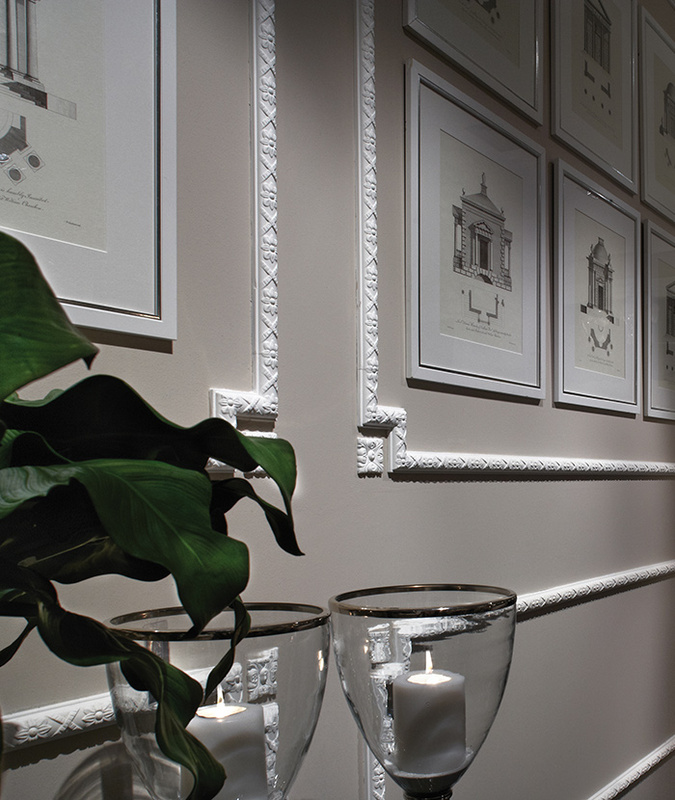 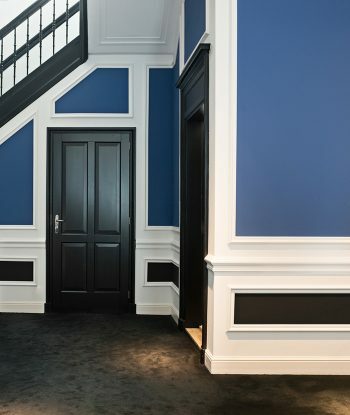 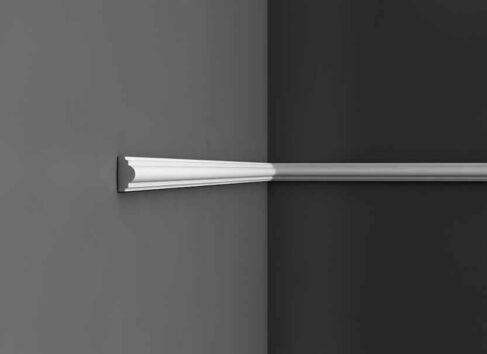 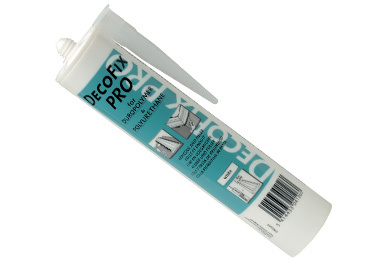 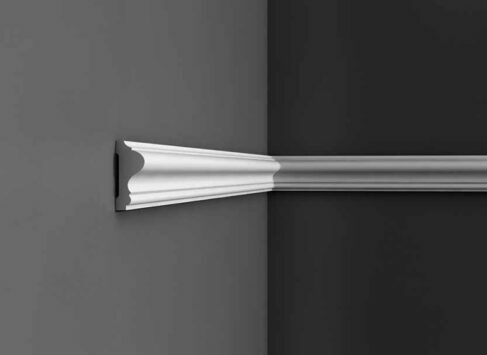 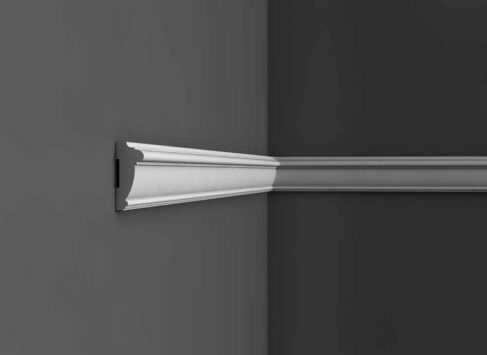 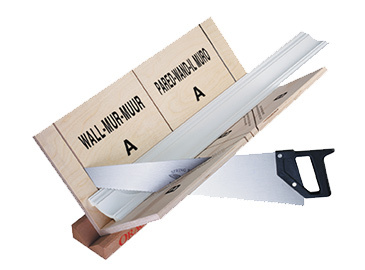 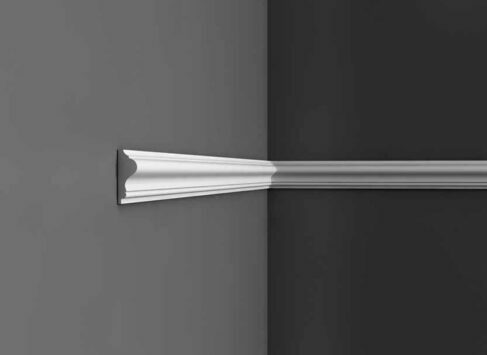 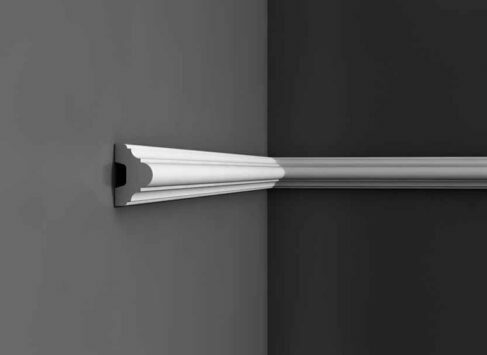 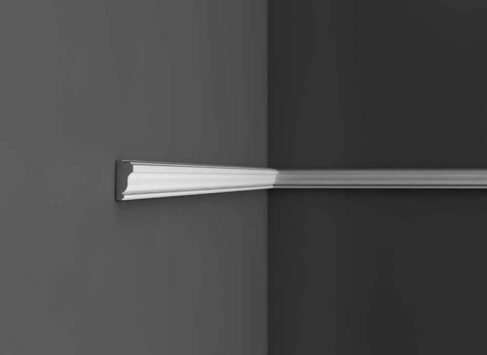 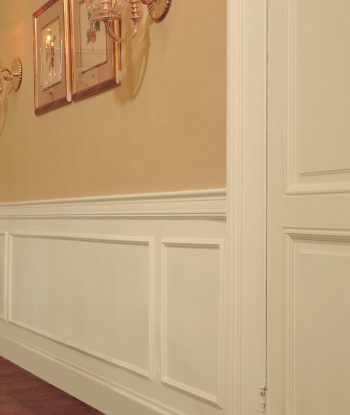 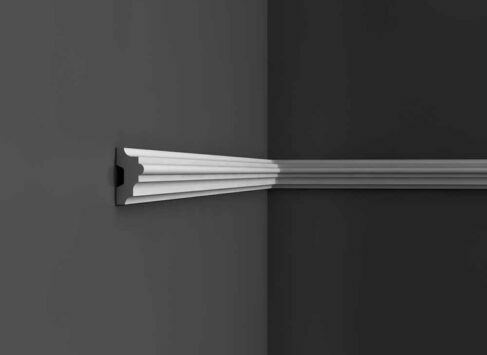 Decorative corners are also available – see ‘Panel Mouldings with Corners’ page. 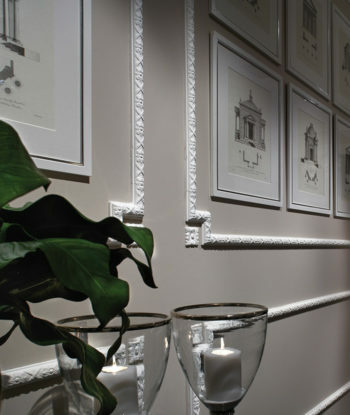 Whether your looking for a simple panel moulding or want to explore your creativity, give us a call.